Can carbon capture and storage help to head off the world’s reckoning with catastrophic climate change? It seems doubtful that even the most sadistic mind could come up with a more intractable problem than climate change. Just about every one of humanity’s activities – travelling, power generation, industrial processes and more – contribute to climate change. The problem is global, so complex agreements between competing nations are a must. The effects creep up slowly on us and its long-term nature makes it seem that there are always more pressing problems. On top of all this, action to cut the world’s carbon dioxide emissions down to size would mean the richest having to live more constrained lives – eating far less meat, paying more for energy, far fewer (maybe no?) exotic holidays abroad and so on. Getting the whole world measured up for horsehair shirts isn’t going to be popular. Technological fixes for humanity’s addiction to cheap energy look like the best bet now for cutting emissions rather than exhortations to cut back. But the scale of the problem facing our global civilisation is huge. The Intergovernmental Panel on Climate Change (IPCC) recently warned we have a 12-year window to stop global temperatures rising by 1.5°C. This would involve a massive – and most likely unrealistic – change in the way we live to cut emissions to zero by 2050. One of the technological sticking plasters that the IPCC says needs to be deployed at scale is carbon capture and storage (CCS). After much delay the first pilot carbon capture and storage facility in the UK is now being rolled out at the Drax power station in North Yorkshire. This is not just a CCS plant, this is a CCS plant with biomass. This means, in theory, more carbon dioxide is removed from the air than is emitted – as the plants destined to be fuel grow they absorb CO2 from the atmosphere and when they’re burnt this CO2 is captured. It is these kinds of technological fixes that the IPCC says are now vital to prevent catastrophic climate change. But the problem is huge. 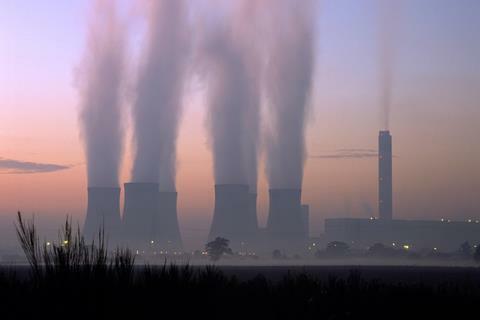 The world’s power stations emit just shy of 10 billion tonnes of CO2 per year. This pilot plant will only be able to capture around 365 tonnes of CO2 per year – the International Energy Agency estimates that we’ll need to be capturing 850 million tonnes of CO2 per year by 2030 to keep warming under 2°C. For CCS or negative emissions technology to make a dent in global emissions they’ll need to be scaled up at an incredible rate. Long term planning is needed, but this has been in short supply in the UK when it comes to CCS, with a number of false starts. With the first projects finally getting off the ground it is now imperative that government backing for CCS is consistent and maintained. We need to act now to ensure future generations inherit a planet that isn’t ravaged by extreme weather events and that can be a safe home for all.